​Your attendance to our AGM will be greatly appreciated! 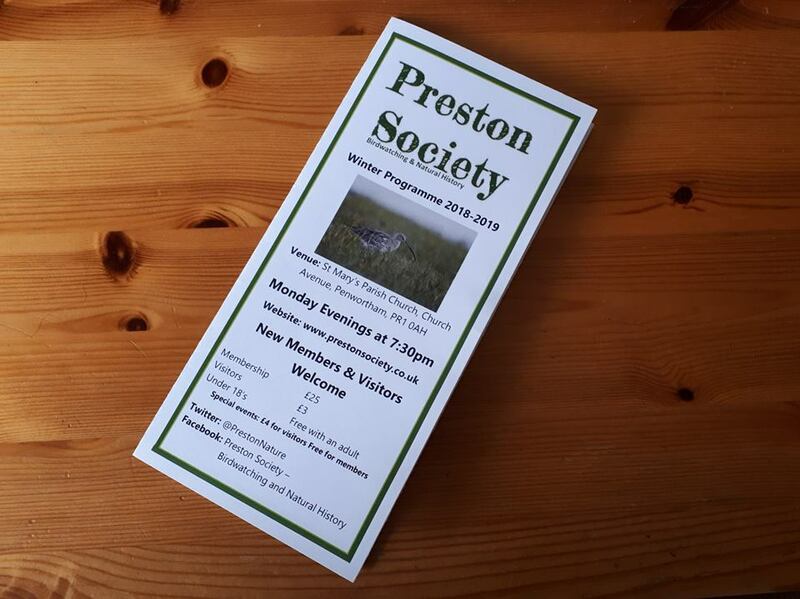 The Preston Society Birdwatching & Natural History is based in Preston. We are a group of friendly people, who have wide ranging interests in different fields of the natural world around us. Everyone is happy to share their knowledge and we welcome people of any age, who have not been before. People who visit, often become Members, once they have got to know us. We meet every week in the evening indoors throughout the winter, October until March, with speakers talking on varying aspects of Birds, wildlife, marine life, flora, fauna & many other aspects of Natural History from all over the world. Some of our speakers are regulars, talking on different subjects each year. Others travel from afar, and are experts in their field. ​During the Spring and Summer, April until September, we are more active and have weekly field trips around Lancashire, Cumbria and Greater Manchester, with some day coach trips further afield. Twice a year we go away for usually 4 or 5 night stays to areas that cannot be covered in a day trip. There we visit Wildlife Trust Reserves and RSPB reserves, exploring what the wider country has to offer. We hold our winter talks at St Mary’s Church in Penwortham every Monday night, starting at 7.30pm. Why not come along and join us? Why not have a look at our programme of talks?